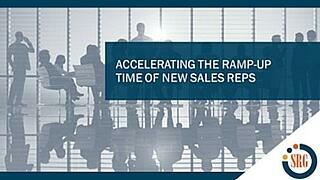 The ramp-up time for new sales reps is typically six months or longer, while on average sales reps stay in their position for less than two years. A comprehensive on-boarding program for sales reps can shorten this ramp-up period, ensure sales success, and reduce turnover. In this webinar we discuss strategies for ensuring that your new sales reps quickly become fully productive. The Sales Readiness Group is an industry leading sales training company that helps Fortune 500 companies develop and deliver customized sales and sales management training programs.